KUALA LUMPUR, Dec 4 – A total of 81 under-21 golfers teed-off in the annual Proton-TSM Golf Challenge which started Thursday at the Glenmarie Golf and Country Club. According to the Proton-TSM Golf Challenge statement here Thursday, the tournament will be accompanied by 54 men and 27 women, all of whom have been identified as handicap 12 and below golfers from all over the country. Defending champion, Solomon Emilio Rosidin from Sabah and Ashley Lau Jen Wen from Sarawak, will be defending their title while also in the fray is former champion, Low Khai Jei from Perak. Participants were vetted through their standings in the World Amateur Golf Ranking (WAGR) as well as a series of ‘Road to TSM Golf Challenge’ tournaments where they accumulated merit points. The Proton-TSM Golf Challenge is supported by the Ministry for Youth and Sports and sanctioned by the Malaysian Golf Association (MGA). Officially listed in the MGA amateur golf tournament, this annual event receives highly encouraging response and is regarded as a launch pad for many youngsters who aspire to become professional golfers. 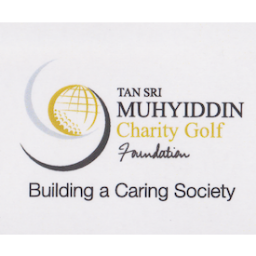 The main prizes for the winners, both men and women categories will be awarded in the form of sponsorship for training at a recognized Golf academy approved by the Tan Sri Muhyiddin Charity Golf. The champion in the men’s category will receive RM50,000, women RM40,000, while the runner-up in both categories receive RM25,000 and RM20,000 respectively.